We at ivalueSafety.com want to raise awareness of Black Ice Invisible Hazard. 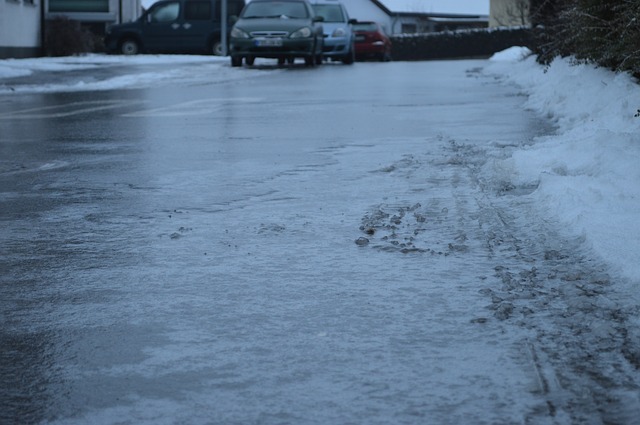 Black Ice is a transparent thin layer of ice which allows the black asphalt road underneath to be seen. Therefore, the Black Ice is practically invisible to drivers, Unfortunately, Black Ice is often discovered by “accident” with the unexpected loss of traction. A snowpack often presents the Black Ice hazard to unsuspecting drivers days after a snow fall. The snowpack melts during the day on plowed roads and freezes overnight. Therefore, the roads are unexpectedly hazardous with Black Ice during the early morning communing hours. Maintain additional stopping distances approaching intersections and between yourself and other vehicles.